The hosts were wonderful, very nice people. They made you feel welcome to the island. They have a lovely roof top terrace with a view over the bay. It was in the centre of lakka. Hosts were friendly. We had an incredible stay at studio leandros!! The hosts were warm and friendly and did their best to communicate with us with English. Leandros even gave us homemade octopus salad and veggies from his garden! 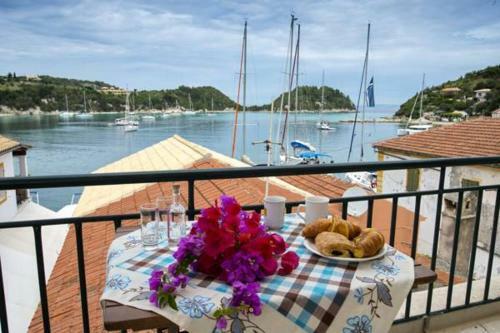 The location couldn't be better - right by the water and all the cafes, bakeries, and beaches. The veranda was a huge bonus and we spent nights up there enjoying the sunset. We are already thinking of returning. Excellent location, and 5 star terrace from which we enjoyed having our breakfast and dinner everyday. Pick-up/drop-off to and from the port. The kindness and welcome by Mr Leandros and his wife, plus the welcome gift of marinated octopus and home grown veggies. EVERYTHING was amazing!! We really enjoyed our stay in this place. The family who runs the place is lovely. They were very thoughtful and eben though he didnt know english he tried to communicate with us. They even left us a little surprise in the room which made our day as we were a bit sad that we had to leave early due to a boats´strike. The room was lovely and it had all the necessary things, also a little balcony where we had dinner one night. They have a balcony too with very nice views!! 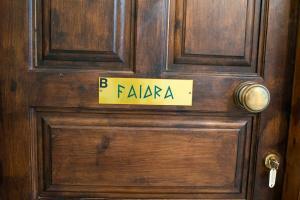 The accommodation is suitable for anyone who wants to experience real hospitality. The room was simple, relatively new, very well maintained and very clean. The room was getting cleaned on a daily basis and during the one week we stayed, we had very frequent changes in bed sheets and towels. The owners were extremely friendly, helpful, courteous and with a particular immediacy and honesty in terms of places worth visiting (beaches, restaurants, etc), which proved to be very important! Our very first breakfast they offered us local fresh products to welcome us. They made us feel like home! The rooms are located almost in front of the port of Lakka. Lock in a great price for Studios Leandros – rated 9.5 by recent guests! One of our best sellers in Lákka! 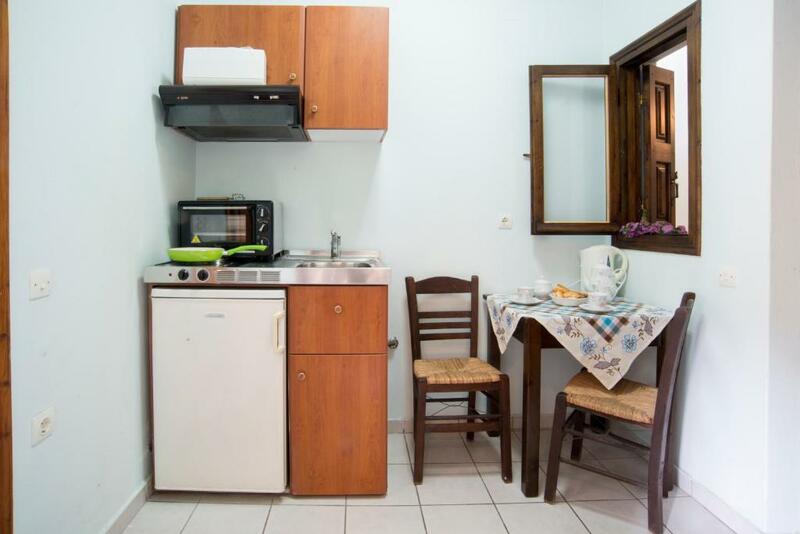 Studios Leandros is set in Lakka village, just 350 feet away from the nearest beach and 30 feet from the seafront. 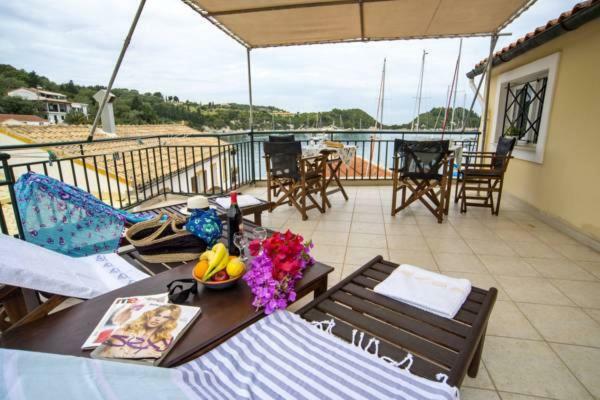 All studios offer straight views of the Ionian Sea. All studios at Leandros have a a flat-screen TV, and a furnished terrace. 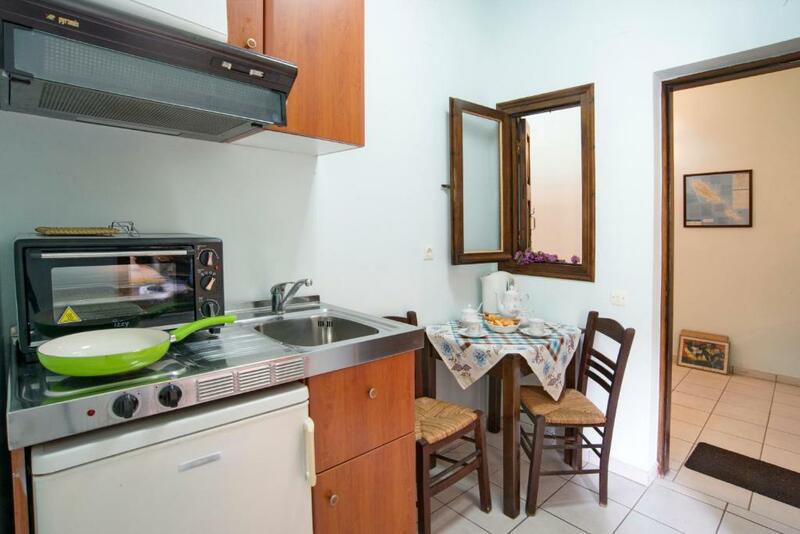 There is also a kitchenette, fitted with a refrigerator and cooking hobs. Each unit is equipped with a private bathroom with a shower. Bed linen is included. Guests will find several supermarkets, cafes and restaurants serving local cuisine within a short walk. Activities in the area include boat hire to go around Paxi Island and diving lessons. This property also has one of the top-rated locations in Lákka! Guests are happier about it compared to other properties in the area. This property is also rated for the best value in Lákka! Guests are getting more for their money when compared to other properties in this city. When would you like to stay at Studios Leandros? 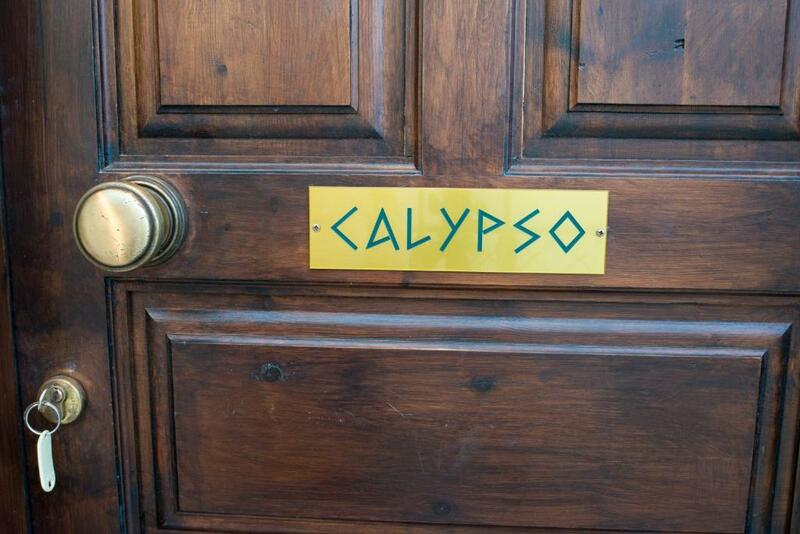 Air-conditioned studio with a terrace facing the Ionian Sea. A kitchenette and flat-screen TV are included. "Studios Leandros" are situated at an excelent location in the heart of Lakka Village. Just 100m away from the nearest beach and only 10m from the sea with panoramic view of Lakka's Bay. The view from Veranda of the Studios will take your breath away and will certainly put you in thoughts, if you will be able to take your eyes off the refreshing light blue sea. With the beach next to your door and all amenities around, "Studios Leandros" makes an excellent accomodation for an enjoyable stay and memorable holidays. 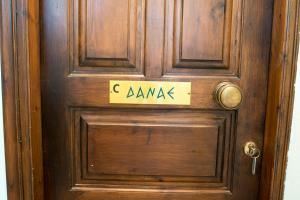 House Rules Studios Leandros takes special requests – add in the next step! Studios Leandros accepts these cards and reserves the right to temporarily hold an amount prior to arrival. Please inform Studios Leandros of your expected arrival time in advance. You can use the Special Requests box when booking, or contact the property directly using the contact details in your confirmation. 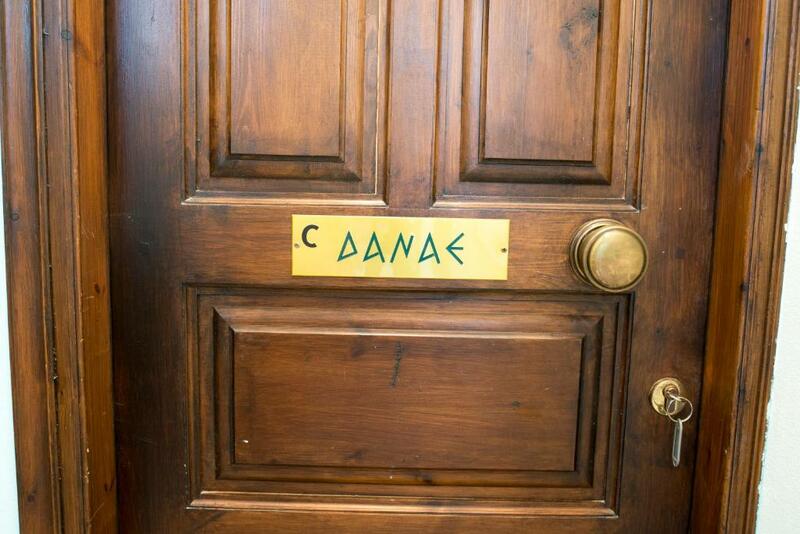 The mattress in the Danae room could use a replacement for something more firm. The kitchen and bathroom don't have any extraction fans, but this is very minor and not something that could be improved due to the building itself and its conversion into apartments. It is budget accommodation for the area. 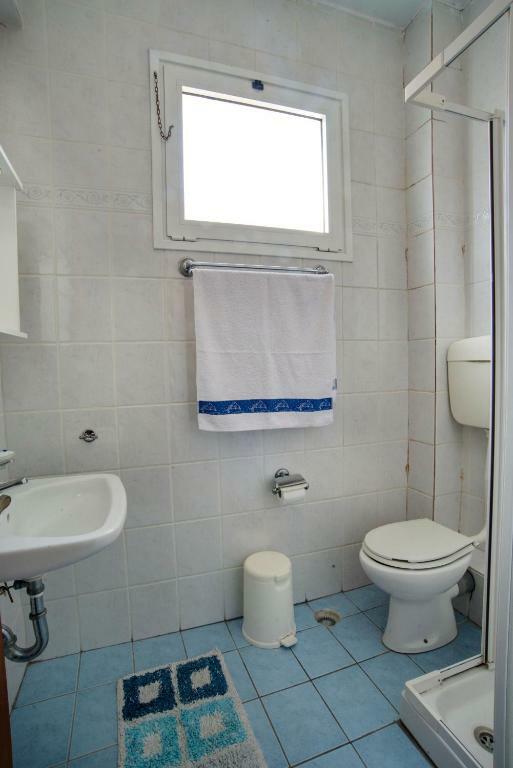 A common thing in Paxos and Greece and no fault of the property but you cannot flush the toilet paper due to pipes being small but the rubbish bin is changed everyday and you are never left with any smell. Lakka is very peaceful and beautiful place. I strongly recommend. The owners of Leandros studious are very nice people. They shared with us home cooked octopus, special homemade bread and tsipouro, also they helped us to make a reservation for the ferry which is one per day and was full. Hope to visit again! The hospitality was tremendous. Amazing olive oil!! Perfect location and calm/relaxing interior. The roof terrace was a real bonus - sunbeds and tables and chairs and a wonderful view over Lakka Harbour. Everything - the views from the roof top terrace, location, room small but completely fine. Great value for money, the owners are so helpful and pick up from ferry. Would most definitely go back. Great place! The rooms are a little small but adequate and value for money. Everything. Excellent hosts, location, great place to relax, quiet rooms but right in the heart of boating wharf activities, village square and restaurants. Excellent easy accessible beach. The best hosts who brought us octopus tomatoes cucumbers and olive oil ... the rooftop garden is so good also!